Storm Collectibles have been killing it with the fighting figures over the last year and change, and SDCC 2018 saw 3 awesome releases from them. * Heihachi from Tekken along with Alex and Shin Akuma from Street Fighter. * Today we are taking a quick look at Akuma! * This figure features new articulation in the legs and upper body as he rocks his classic hair style – no lion’s mane here. * He has a reddish tint, white hair, and veins showing on all skinned areas. * The accessories include an alternate gi with his kanji lettering on the back, 3 heads, 4 sets &#187; Continue Reading. 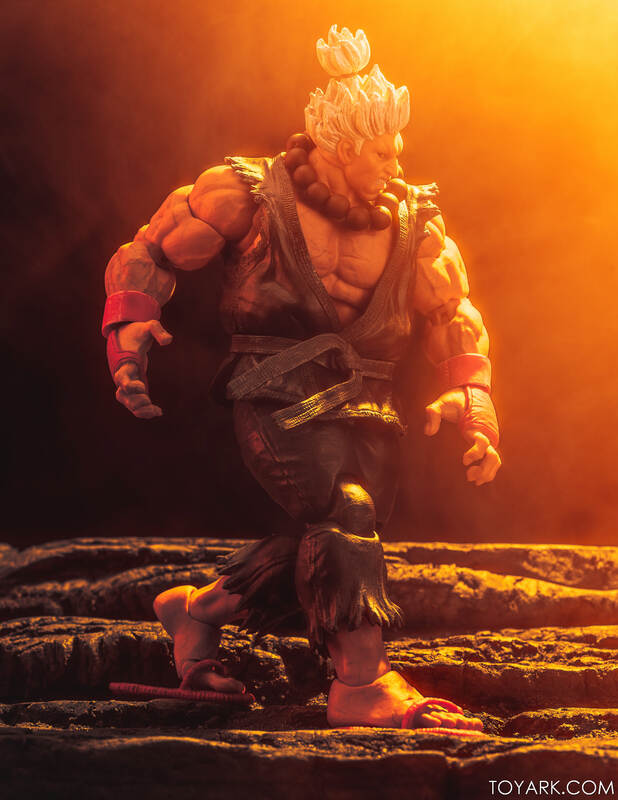 The post Storm Collectibles SDCC Street Figther V Shin Akuma Photo Gallery appeared first on The Toyark - News.